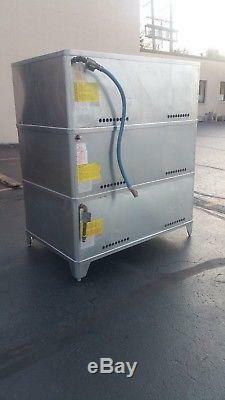 Top Oven= Serial # 123199AB092B= 1999 Year. Middle Oven= Serial # 061605AJ016S= 2005 Year. 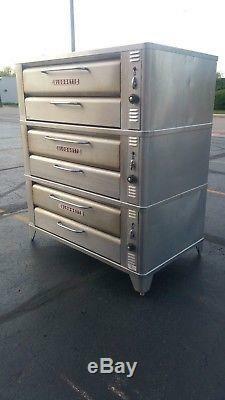 Bottom Oven= Serial #123199AB091T= 1999 Year. Dimensions are 5 feet wide x 40 inches depth x 70 inches high. Set up for natural gas. 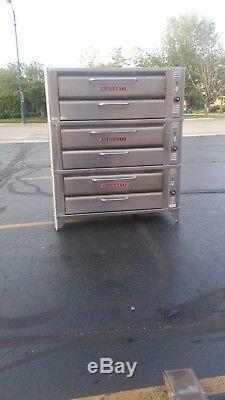 2300 Lbs, class 85, commercial address, with lift gate service, (3) Pallets for ovens and (1) Pallet for New Baking Stones. 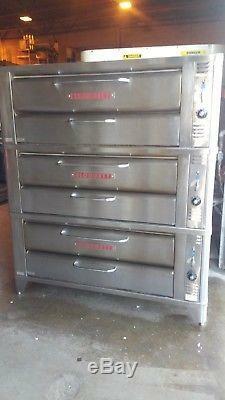 The item "BLODGETT 961 TRIPLE STACK PIZZA OVENS WITH NEW SUPERIOR BAKING STONES" is in sale since Saturday, July 28, 2018. 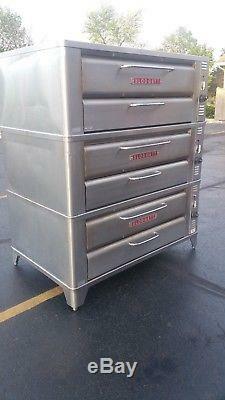 This item is in the category "Business & Industrial\Restaurant & Food Service\Commercial Kitchen Equipment\Cooking & Warming Equipment\Ovens & Ranges\Pizza Ovens". 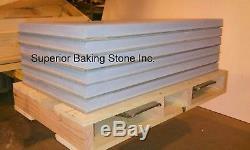 The seller is "superiorbakingstone" and is located in Joliet, Illinois. This item can be shipped to United States.